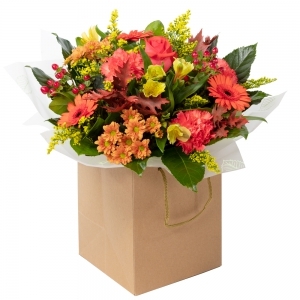 Fresh flowers and arrangements delivered in Narrogin, WA. Please note that deliveries to other towns and remote areas require advance notice. The flowers lasted a long time! 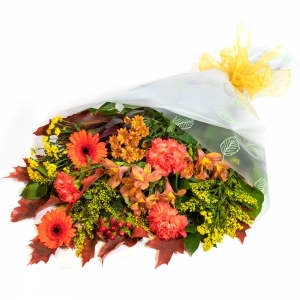 4 flowers for $55. Poor value for money. 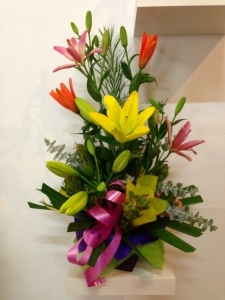 I ordered on line and purchased the flowers of the day. Great choice, my friend loved the flowers. The service was very efficient for no face to face contact. Thank-you, I will definitely use this service again and recommend it to friends. Our friend was very pleased with what she received. Beautiful flower arrangement. Very impressed. Would highly recommend. 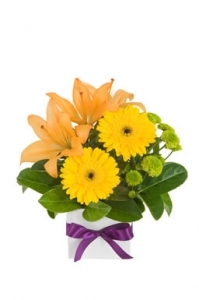 Always prompt and reliable service, and my mother loves the arrangements. Good value for the money. Fantastic service, I entered wrong date for Mother's Day and they sent a courtesy email reminding me Mothers Day was next week. Brilliant saved me huge embarrassment. Thanks can confidently recommend. Another lovely bunch of blooms for my Mum for Easter. 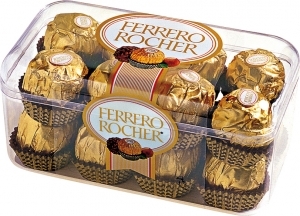 Can I suggest increasing the variety of chocolates that can be ordered? Thanks. Not what was online but turned out better, my mum loved them so thank you for making her day. Lovely flowers and excellent service. My wife loved them. Arrangement lovely and delivered on time. 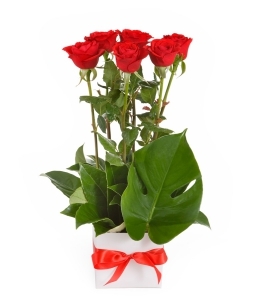 Beautiful fresh flowers delivered without any issues. Mum loves the flowers sent in April (birthday) and May (Mother's Day). Different flowers, but long lasting and beautiful presentation both times. Simple process. Successful same day delivery. 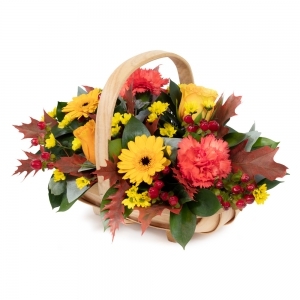 Excellent service, the flowers were for my Mother who is a resident in Karinya, they were delivered on time and a the floral basket was beautiful, as reported back to me by my mother and my brother. 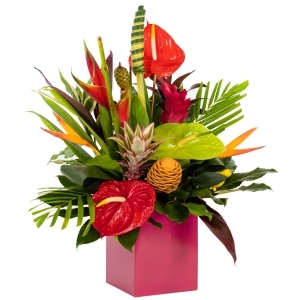 I live in Darwin so couldn't see the actual flowers and its very pleasing to know you guys provide such a great and reliable service. May you have a Prosperous & fulfilling New Year. Kindest regards, Margi Hine. 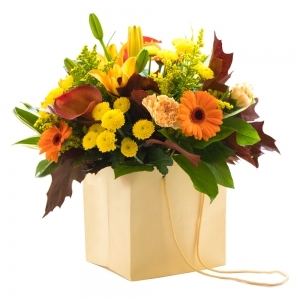 Recipients are always pleased with the arrangements. Flowers were received when requested. Flowers looked beautiful. My Mum was very pleased; on time delivery; can't do any better. Recipient delighted with the flowers - brightened her day! 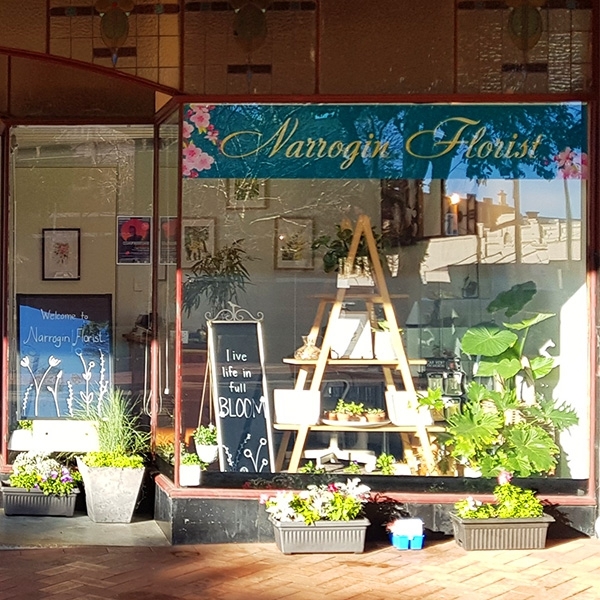 Annie at narrogin florist was excellent to deal with, thanks Annie for your help!! Dealing with Daniel was an absolute pleasure. And the flowers were beautiful. Thank you! Recipient very happy although told different flowers had to be substituted. Same day service is excellent; outstanding for a small country town. My mother is very pleased with the flowers she received. She liked that many of lilies were buds and would therefore take longer to open and the display would last longer. Christmas flowers were outstanding, job well done. 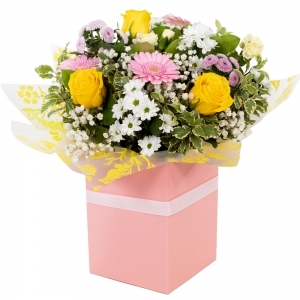 The flowers delivered were excellent quality. First rate; my Mum was thrilled. Even after I gave them the run around a bit with delivery instructions, flowers were on time and looked great. Very helpful and kind staff. Thank you!!! Just had the flower of choice to be sent. Not sure of the florists, climate now etc. I am from Western Canada, so enjoying our summer. Daniel and his team were wonderful as were the flowers! Gorgeous flowers delivered in a timely manner. Mum said the flowers were quite beautiful and delivered around 11 am on her birthday. She was delighted with them. 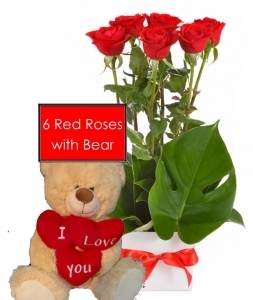 I sent a Christmas arrangement to my cousin in Narrogin. She was so impressed with the delivery and it lasted through to Christmas Day and beyond and was the centre piece on her table over the Christmas period. THANK YOU...!!!! Very good, was much appreciated. 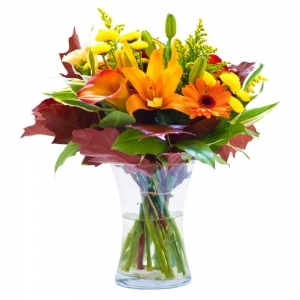 Beautiful arrangement, sent quickly. Thank you. 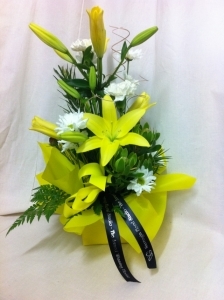 Mother got the flowers on time on a Saturday, and said the yellow and white combination was very lovely. I ordered from the USA, and PayPal worked well. Arrived on time. Niece very pleased with flowers. Thank you. Awesome. My girlfriend was very happy with the flowers. Everyone that has seen them has commented on them. Thankyou Narrogin Floral Studio!! Our daughter was delighted with the flowers you sent - Many thanks for the great service - She sent a photo and they looked great !! Job well done, delivered on time and the arrangement was better than pictured. Your service was truly proffesional and well received. Thankyou so much. Perfect service. Everything I asked for happened. You should be proud of your company. Thank you. Rowen. WOW! I ordered these flowers at 2pm and they were delivered an hour later to my friend in hospital! Great job!!!! My friend who received the nappy cake was VERY IMPRESSED......She has thanked me about 3 times already. Many thanks for your hard work. Good Luck! Thankyou very much to the helpful staff, they really do look after the customers interests. 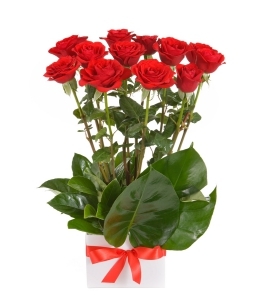 Flowers were beautiful, ordering was easy and service was great! Excellent prompt service. Will be using them again for sure. 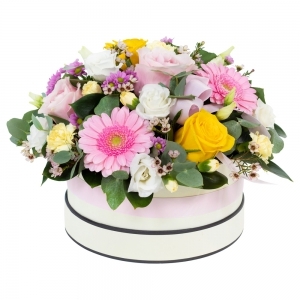 Excellent service :) Will use again and again - mum loved her mothers day flowers. 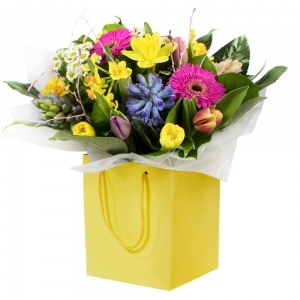 Easy, competitive prices & hassle free, it's great to be able to get flowers delivered to friends & loved ones who live a long way away, Thankyou. Wondeful service. 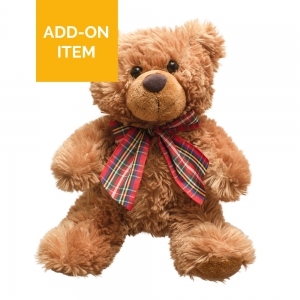 The bear I ordered was not in stock, they rang me and asked if it was ok to provide a larger bear - My grandaughter loved it (named it cupcake). Great service Thank you. Fantastic. Excellent Quality and Value. 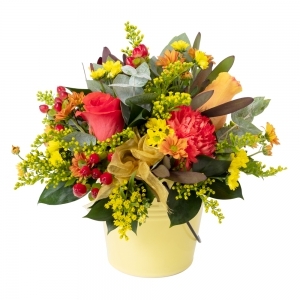 My Wife was very happy and I would definately use Narrogin Floral Studio again. Thankyou Very Much!! Beautiful flowers was the description by my Mum - delivered same day. 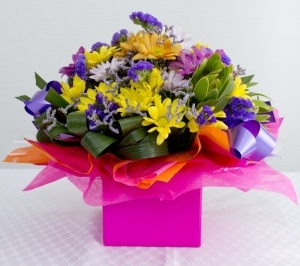 Fabulous Flowers - Would deal with D2F again and will be recommending it to all my friends and family. Fantastic Service! Recipient a very happy lady. Thank you. great service and communication, beautiful flowers!! highly recommended thankyou!! 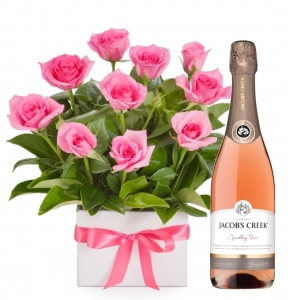 Excellent service, very hapy with the orders and prompt delivery. Great, quick service and my sister said that the flowers were amazing. MANY THANKS. 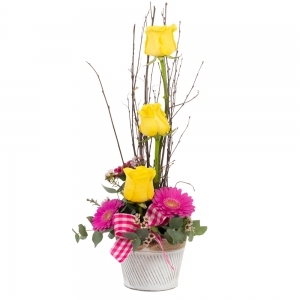 Premium Roses displayed in a box. 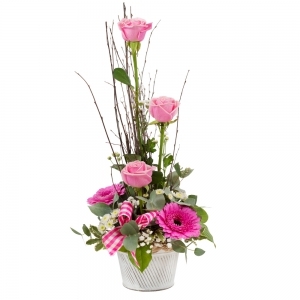 Box Arrangement of Mixed Chrysanthemums. 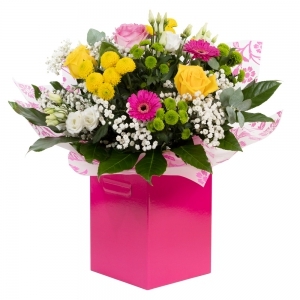 Box Arrangement - Half a Dozen Bright Mixed Lillies!